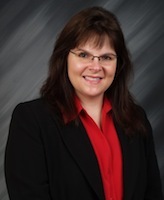 Bridget Eyler is a highly experienced attorney, with over 20 years of experience. She is an aggressive attorney who mainly practices in healthcare law. Throughout her legal career, Bridget has gained an expertise in healthcare law and healthcare professionals. She is highly knowledgeable in occupational and professional license defense and healthcare law cases e.g. nursing license defense, physician license defense, pharmacy license defense and many other health care occupations license defense cases. Bridget is primarily dedicated to helping nurses and physicians, and other medical professionals who have encountered issues with the Texas Nursing Board or Texas Medical Board, or any Texas regulatory professional board. Bridget has a successful proven track record and will diligently work for you to help you get the best results with any professional licensing issue. Bridget received her Bachelor of Arts degree in Political Science from the University of Texas at Arlington. Bridget acquired her Juris Doctorate law degree from Oklahoma City University School of Law. Bridget is licensed to practice law in both Texas and Oklahoma. She is also licensed to practice in both the Northern and Eastern District United States District Courts. Bridget began her attorney career prosecuting for the Harris County District Attorney’s Office and the Dallas County District Attorney’s Office, respectively, where she successfully tried numerous misdemeanor and felony cases. Bridget worked in the Public Integrity Division while with the Dallas County District Attorney’s Office where she conducted several grand jury investigations. Bridget gained vast experience and knowledge of the laws, rules and regulations that govern medical professionals. She learned how vast the state and federal rules and relations are that govern the various medical professionals. She also learned the intricacies of how investigations are conducted into the various professionals, e.g. nurse, physicians, dentists, etc., by the various agencies, e.g. Texas Nursing Board, Texas Medical Board, etc. Bridget also gained valuable experience in the healthcare world while employed as a Special Assistant United States Attorney and Assistant Texas Attorney General. Bridget worked as a Corporate Compliance Manager for the Dallas County Hospital District (Parkland Hospital) to further her knowledge and qualifications in the corporate/business side of health care. It was this position that allowed Bridget to gain the full understanding of the business side of healthcare and all of its complexities. This experience also allowed Bridget to see the daily operations of health care professionals at work. She was able to see the environment that nurses and physicians worked in on a daily basis. She was able to see the inner workings of a hospital and the management staff. This experience has allowed her to better understand the inner workings of a large hospital and the daily trials and tribulations of nurses and doctors. In addition, Bridget also gained invaluable experience in healthcare contracting, Medicare and Medicaid issues, risk assessments, grant review, academic medical centers, billing, coding, HIPAA, and the United States’(federal) and Texas’ (state) stringent healthcare laws and regulations. Bridget also gained civil law experience while working at a small law firm on a successful whistleblower/qui tam case, employment and labor law cases, product liability, and deceptive trade practices act (DTPA) cases. Bridget has successfully handled hundreds of cases throughout her legal career. She works very closely with her clients to assess the merits of the case, and develop a full-case strategy, estimate the costs to be incurred, arrive at a financial plan that takes into account the size and complexity of the case, and the client’s resources. While clients have been greatly impressed by Bridget’s expertise and management of their state of affairs, they have been equally impressed by her personal and enthusiastic caring about their business and their personal future. Her ultimate success is her ability to be involved in the investigation of each underlying case, interviewing her own witnesses and deciding the merits of the case. She knows it is important to become immersed into the situation to gain an understanding of all aspects of the case. Bridget understands the anxiety and panic that sets in when someone get a complaint or that they are under investigation by the nursing or medical board. In her spare time, Bridget enjoys rocking out on her guitar, collecting sports memorabilia and also playing with her two fur babies. Playing the electric guitar (rock, blues, and jazz), playing with and loving on my 2 fur babies (dogs), Abbey and Lexey, and assisting with pet rescue group Recycled Pomeranians and Schipperkes, collecting sports memorabilia, and New York Yankees baseball.